Hey guys, CD-Mangaka here again for another patch breakdown! This patch is pretty small so let’s go through all the stuff you’ll need to know for soloqueue and consider for competitive! Hey guys, CD-Mangaka here again for another patch breakdown! This patch is pretty small so let’s go through all the stuff you’ll need to know for soloqueue and consider for competitive! The article will cover the major points of the patch notes, while the video goes over everything! Watch it on this page or click the link here to see it on youtube! 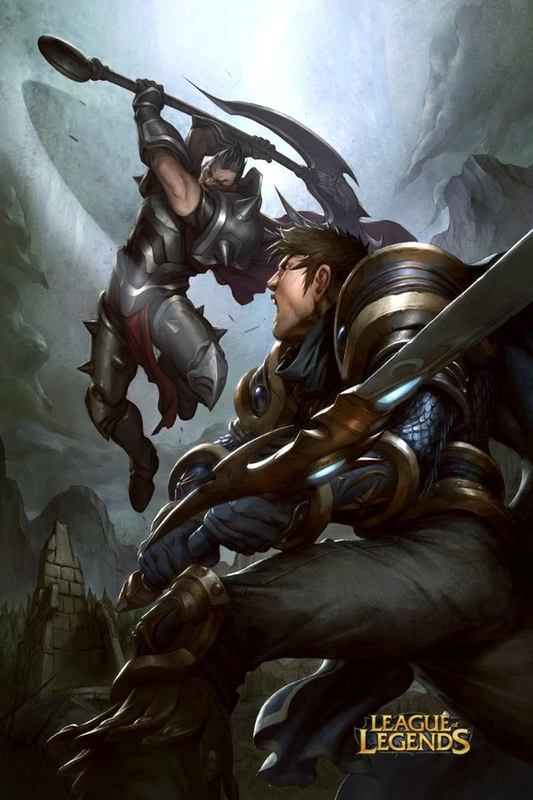 It seems like Riot wants to see more Noxus vs Demacia tops, because they just buffed both Darius and Garen. Garen’s ultimate loses 40 seconds of down time at rank one, meaning he’s going to have a lot more kill pressure in the laning phase. Meanwhile, Darius’ also receives some early buffs to his ult by getting a mana cost refund whenever he kills with it, meaning he can spam more spells in skirmishes. The biggest change to Darius though is once he hits level 16, his ultimate’s CD permanently resets CD on kill and refunds all of the mana cost. This is a return to earlier form for the general, meaning his late game cleanup is going to be much more deadly, provided he kills with his ultimate. While neither of these champions is likely going to make an appearance in competitive play, Shen is a champion whose buffs could result in some appearances. Having a ranged farming tool, excellent scaling with tank items (and tanks are all the rage right now), and a second teleport built into his kit, Shen could be used since he was outright buffed. His ultimate has a lower cooldown at all ranks, losing 40 seconds on it at max rank. This gives him more split push pressure as he can ult to his team more often, and simply tp back to the other lane if needed. Whether or not he can stand against other prominent top laners and how he fares in lane swaps are the only things holding him back from the LCS stage. Hecarim and Maokai have both been dominant top laners in recent competitive history. Maokai’s ability to initiate fights and be nearly unkillable is monstrous, while Hecarim’s lane and split push pressure is a lethal trample. With those in mind, both have lost some sustain ability, with Hecarim losing health and mana per 5 stats while Maokai’s passive has been nerfed in the early game. This should make it easier to harass either out of the lane by allowing more damage to stick. Given Hecarim’s consistent use of flask, this will bring him more in lane, while Maokai’s early sustain is only slightly hurt because of the % scaling on his passive not effecting his laning too much, but will be noticeable once he gets catalyst. Based on how successful tank junglers have been relative to their bruiser counterparts, it seems like we’re going through a shift in the meta to tankier team compositions. This is fun and all for now since it’s still new, but there is a danger that this will simply become the new status quo and we find ourselves with the same problem where League lacks diversity, just with different champions. That said, Riot seems to be aware of the possibility and taking steps to ensure the tanks don’t completely take over by nerfing Cinderhulk and Gromp. The Cinderhulk changes are minor, but the Gromp poison damage is significantly nerfed. Losing half of it’s scaling and damage, this will slow down tank jungler’s clear and damage in fights immensely, while also allowing us to see how much the Gromp back was inflating tank damage relative to Cinderhulk’s own damage. Whether or not we have more nerfs coming our way has yet to be seen, but Riot’s short steps show a methodical undertaking to balance the game. That’s all for this one folks! If you want to see the rest of my thoughts on the notes (like Bard and Blitzcrank), hit up the video. See you all soon!